Some East Cleveland city leaders and residents are concerned about the accountability of their police force, after discovering one of their officers was arrested and convicted for being intoxicated while on the job in December 2017. Concerned resident Justyn Anderson said he only found about the case when he made a public records request on another issue in July. 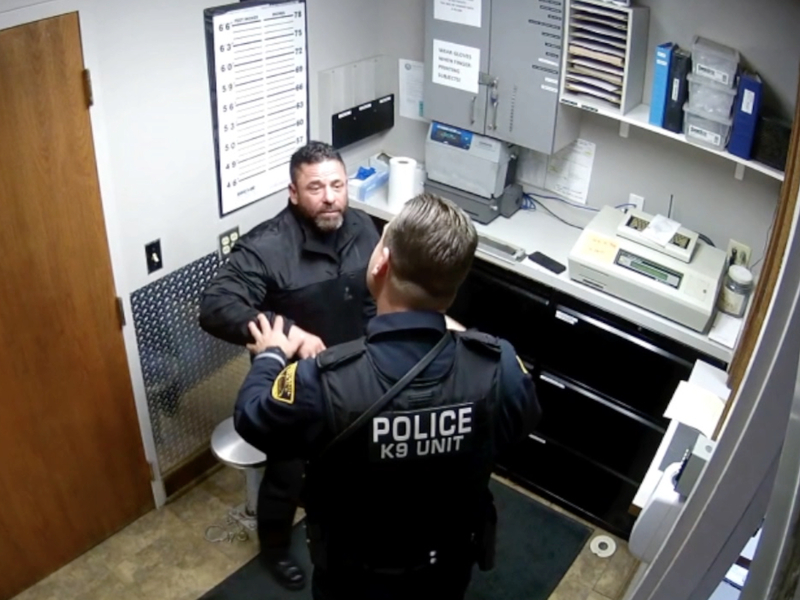 He said police in nearby Bratenahl, Ohio provided him with body camera video of the arrest of East Cleveland detective Joseph Marche. Anderson said the video was eventually posted on YouTube and shows the difficulty Bratenahl police encountered in arresting Marche. Police said Marche was found highly intoxicated and slumped over the wheel of an unmarked city vehicle while working on a stakeout for the East Cleveland Police Department. Bratenahl Police report they had to break out two windows to make an arrest and found a loaded automatic weapon in Marche's city vehicle. Anderson and East Cleveland City Councilman Nathaniel Martin said city council or East Cleveland Mayor Brandon King were never notified about the incident. "This is very concerning, it's disturbing, they are supposed to protect and serve us, and if you're riding around intoxicated, Lord knows what could he could have done," Anderson said. "City leaders should have been notified." East Cleveland Police told Scripps station WEWS that East Cleveland Mayor Bradon KIng was notified about the incident the day after it took place. Meanwhile, Martin is demanding a full report on the incident and believes the case should have triggered a policy examination. Martin also wonders if the case was prosecuted properly. "It's about transparency and accountability," Martin said. "The video was shared with me and all I could do is shake my head." East Cleveland Police Commander Scott Gardner confirmed Marche was convicted of operating a vehicle while intoxicated in Bratenahl court He was given a 30-day suspension without pay. Gardner said Marche was on prescription medication for two shoulder surgeries and drank a limited amount of alcohol, misjudging the effect the combination would have on his faculties. Gardner confirmed Det. Marche's driver's license was suspended, but he was granted work driving privileges. Gardner said Marche has an outstanding work record and had no prior convictions. Gardner said the department consulted with four other police departments to insure a 30-day suspension was adequate. "There is nobody that's going to condone the behavior of Detective Marche," Gardner said. "Our department wants full transparency, and we welcome residents to give us feedback." "He accepted full responsibility, it was an error in judgment, and like I said, nobody feels worse that Joe Marche."